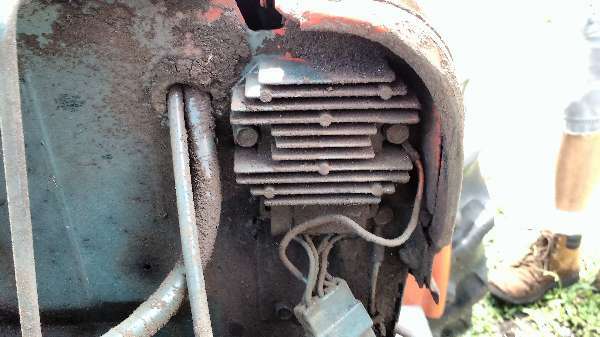 This is almost always caused by the regulating valve which is pushed in by the knob below the seat on the front side of the lift box. They made a bunch of these too tight and they will stick if the knob is turned to the closed position. A number "0" size reamer can be used to clean the bore or the valve peice itself can be polished in a lathe (or drill motor). BUT you say this is not the problem in your case so... I would be sure that the linkage to both the position and draft control are not asking for the lift to raise as they work against the main control valve button on the rear of the valve (under the cover in the lift box). This button must not be pushed forward for the lift to lower (push forward to raise, either by position control lever OR draft control when top link is pushed in). It also seems to be a characteristic of this lift box that the arms drift up when there is no weight on them regardless of position of lever. It will not raise with an implement on it, and can easily be pushed down with very little pressure put ont them, but they often like to drift up when no weight is on them. If all of this checks out, you may want to contact your dealer to see about another diverter valve assy.